My 6lb. 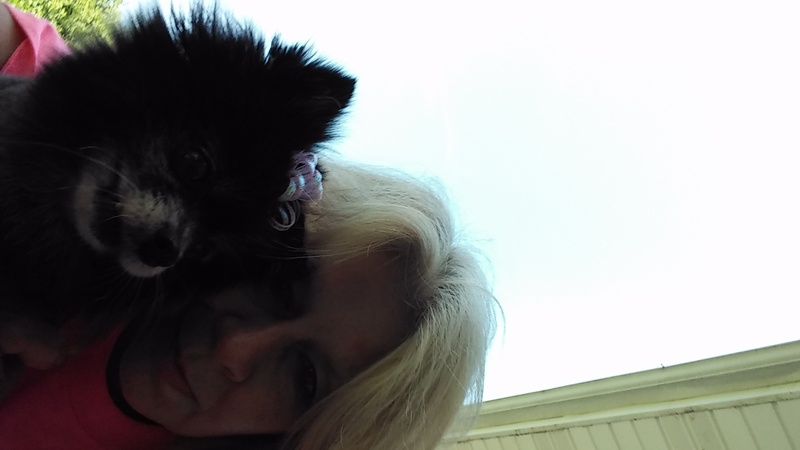 9yr Teacup Pomeranian CAMI & I NEED a small drive able, self contained RV to live in to prevent imminent homelessness. Approximately $10,000.00. I am Social Security Disability. My new-found-freedom, after 25 yr marriage ended & raising 3 now adult children in their 30’s, it is now T I ME..TIME for me to pursue and follow my dreams, goals and gain MY OWN IDENTITY AGAIN. I put all on back-burners to always take care of everyone else. Too many recent deaths, and betrayals, deceits and I want/NEED to start my LIFE for PEACE & HAPPINESS! I wish to continue my writings & projects that are really excellent. I HAVE to LAUGH, TRAVEL, MUSIC, WRITE & LOVE. Cami, I have received letters from my Dr. & Cami’s VET for Pet Therapy. I wish to travel to NT’L PARKS, HISTORICAL SITES, MUSIC FESTIVALS & seek out the USA! American Dream! Can/will You HELP? My Birthday is Sat., OCT.(meaning 8) Oct. 8..my age that I will turn; 53/ 5+3=8, also 2016; 16 divided by 2=8. Numerology! This article was posted in Causes, Free and tagged American Dream, Dog, gofundme, HISTORICAL SITES, MUSIC FESTIVALS, National Parks, RV, Travelling.